There is no greater animal of technology than the cell phone. We love ‘em, we care for them. But we all know our phones can get pretty gross. At times they might even appear disgusting. The surface is all greasy, and the ridges are lined with grime. You may even have a sense that the extent of bacterial infection is even worse than it looks. You may be right. According to studies, by comparison, cell phones typically host about eighteen percent MORE germ matter than a TOILET handle. But don’t worry, it won’t kill you. In fact, you can take the necessary measures to keep your phone clean and sterile by putting some simple household items to use. 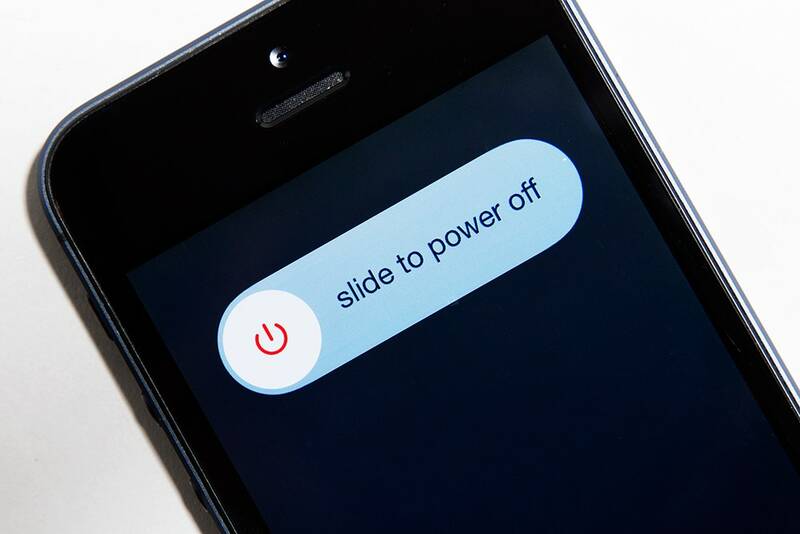 Be sure to disconnect your phone and power it off before attempting to clean it. If possible, remove the battery as well. You may even want to seal all port openings with tape (to avoid potential liquid damage). Naturally, your phone manufacturer has its own tips for cleaning, but if you’re in a bind without much at your disposal, here’s a couple of household-style tips designed to wash that built-up bacteria away. 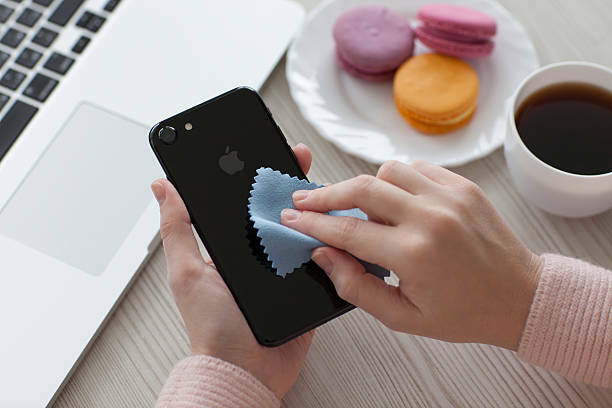 You can’t do much better than a soft, lint free cloth for cleaning smooth surfaces, microfiber preferred (don’t use abrasive clothes, paper towels or anything of harsh texture, they will potentially scratch or damage your phone). It’s the type of cloth that typically comes with your eyeglasses. It is ideal for removing smudges, oil and fingerprints, not just from the screen, but the body as well. Dampen the corner of the cloth in water. Obviously, we’re not suggesting getting water anywhere near your phone. However a lightly damp cloth carefully applied to the screen with a gentle rubbing motion shouldn’t pose much harm. Then, using the dry part of the cloth, wipe the phone of any remaining moisture. You’ll be left with a fresh and clean communicating device! Another item you can probably locate with ease is a Q-Tip (AKA “cotton swab”). These are optimal for getting the tiny microscopic dust and crumb particles that microfiber cloths can’t typically reach. Ideally, it’s the gunk and grime in the hard-to-reach places that the swab will pick up and remove. Simply take a Q-Tip and brush it over the dirty crevices of your phone to leave a cleaner surface. 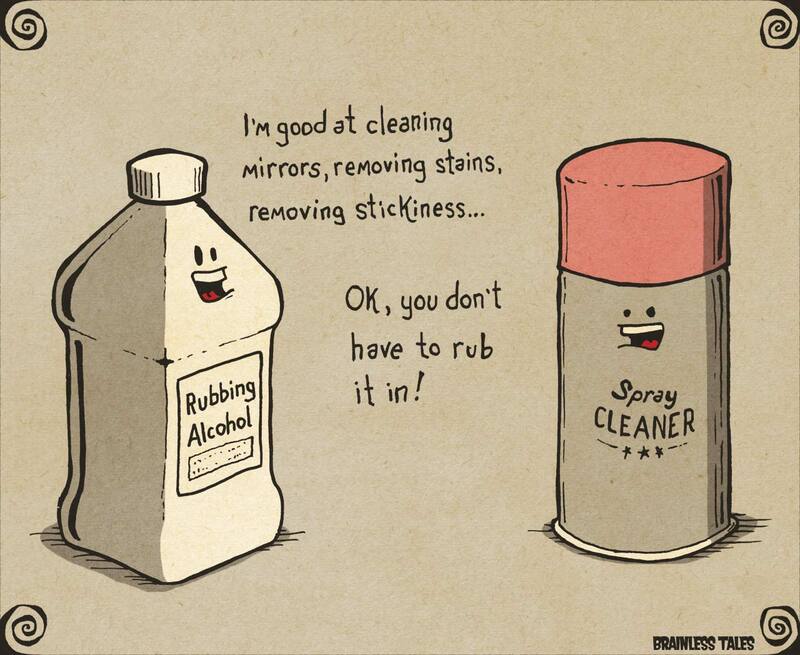 They also work well for general cleaning of the corners of the phone cases and ports. At your own risk, use store-bought wet wipes like alcohol and cotton squares to disinfect your phone. Be mindful that Apple doesn’t recommend it. Obviously you can’t douse your phone in liquid, but if you can be careful enough to do light surface cleaning you may want to brave it. Simply create a mix of 40% water and 60% isopropyl alcohol (rubbing alcohol) and lightly dampen a lint-free, microfiber cloth or cotton square with it. Gently swab your phone and use the dry portion of the cloth to remove any excess moisture. If you don’t have any isopropyl alcohol around but you do have vinegar, simply make a half and half concoction of water and vinegar and repeat the steps listed above. After using any one of these tips, you too will have a phone that is bacteria and smudge free. But we know it doesn’t take long before it’s greasy again, it’s just the nature of the beast!